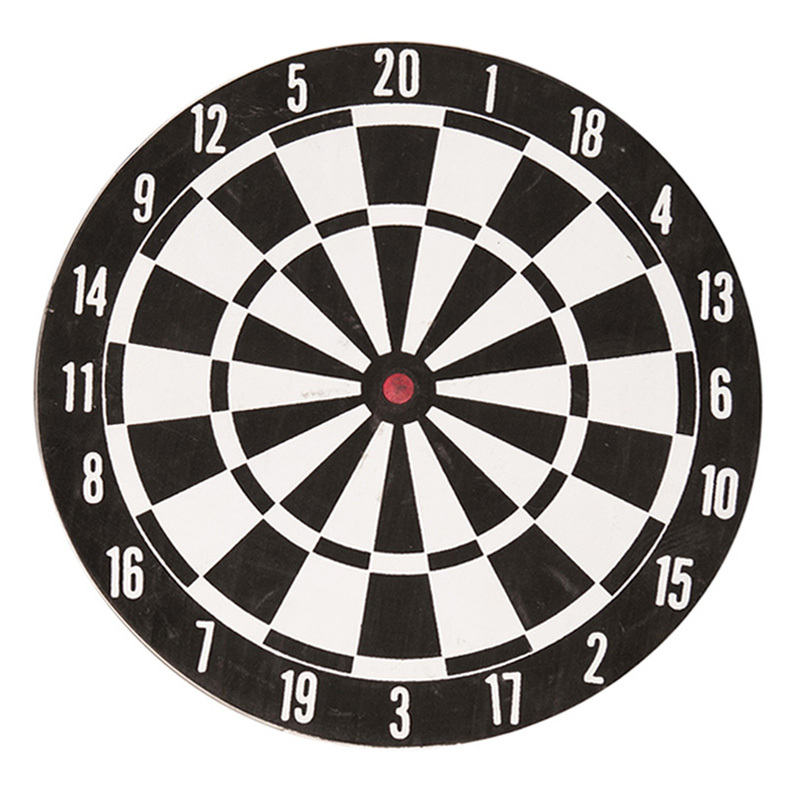 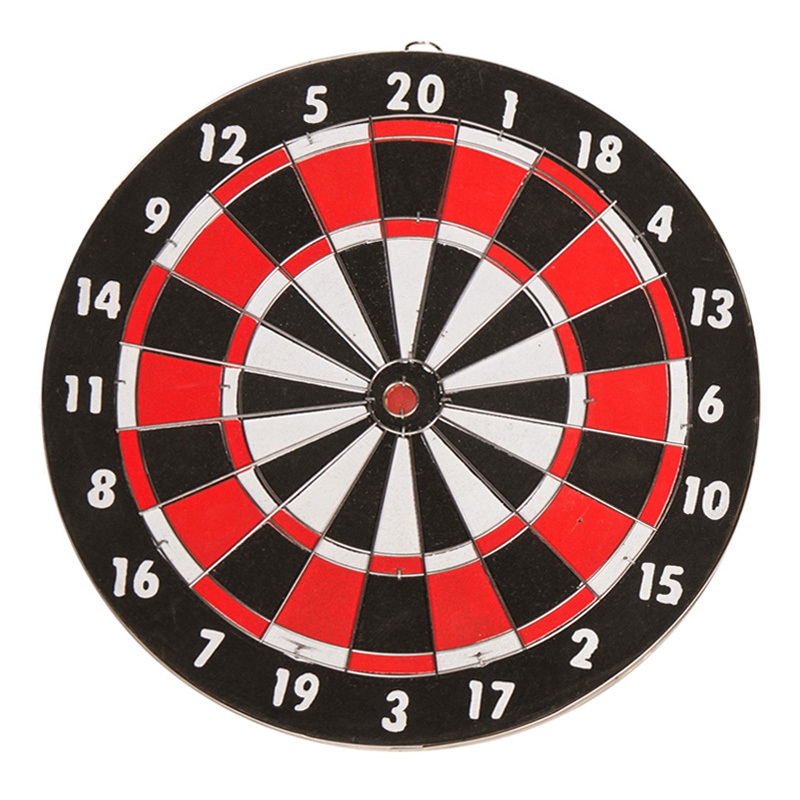 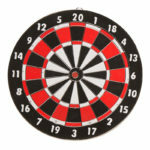 Mini 2 in 1 reversible dartboards. 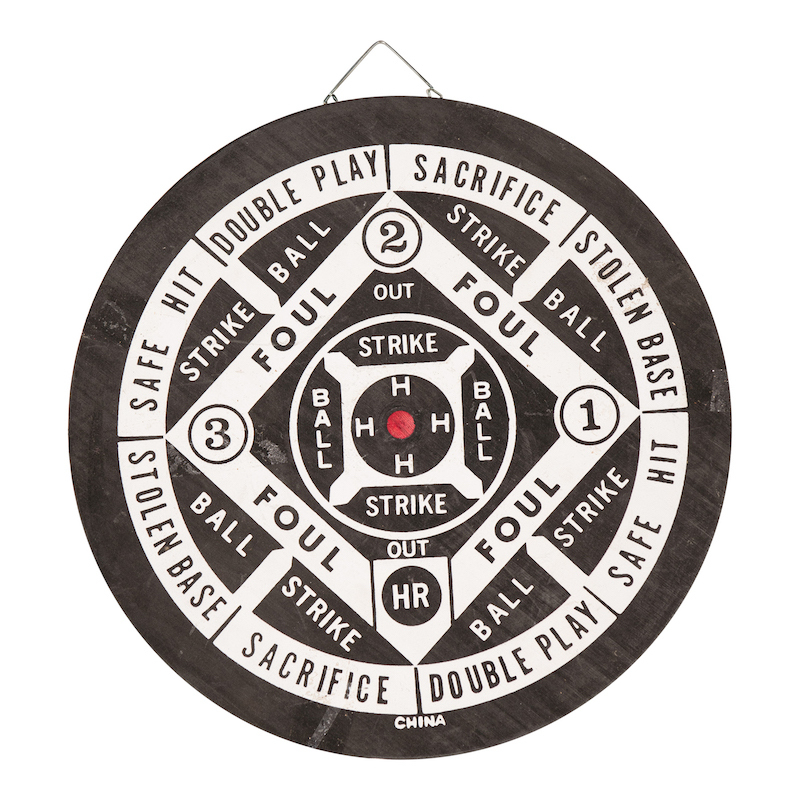 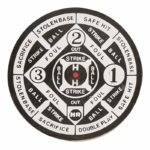 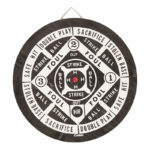 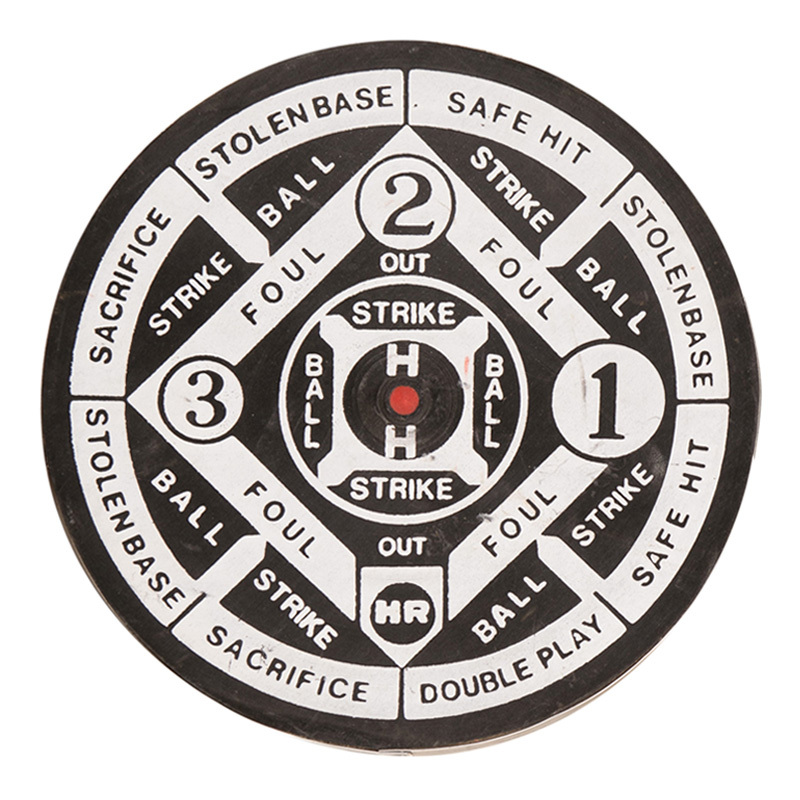 Features standard darts on one side and a baseball style game on the other. 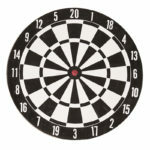 Varies in color and design.